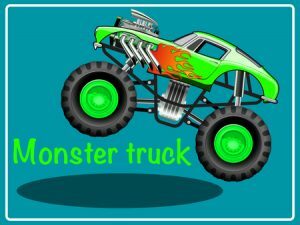 Posted September 26, 2018 by SCS Gearbox & filed under Miscellaneous, Monster Trucks. Buying a monster truck is an exciting, but big investment. Unless you’re buying an extremely old monster truck and trying to bring it back from the dead, you’re likely going to pay many thousands of dollars for one. That means you need to carefully consider a few things prior to doing it. Here are some of the most important things to think about before you bring a monster truck home. How much maintenance has been done on the truck over the years? Before buying a monster truck, you want to take a close look at any maintenance records that have been kept, if possible. These records will give you a better idea of how much maintenance has been done over the years on the truck. If a truck doesn’t have maintenance records, you might want to consider steering clear of buying it. It could be an indication that the proper maintenance steps haven’t been taken regularly. What kinds of parts have been used in the truck? Some monster truck owners will cut corners by installing cheap, low-quality parts into their monster trucks. These parts will make it impossible for monster truck drivers to push the trucks to reach their full potential. Take a look under a monster truck prior to purchasing it to see what kinds of parts were used to build it. If it doesn’t have name brand parts or if the parts appear to be in bad condition, it might not be the truck for you. Are there any major repairs that need to be made to the truck at the moment? The last thing you want to do is sink a bunch of money into a monster truck to buy it and then sink a bunch of money into a monster truck again to fix it up. If there are major repairs that need to be made to a truck, you can still buy it. But just make sure that the price you pay for the truck reflects the fact that you’re going to need to do a lot of repairs. 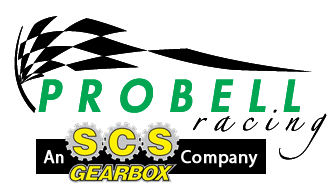 Whether you’re buying a monster truck that needs new parts or you need monster truck parts for a truck you already own, SCS Gearbox has you covered. Call us at 419-483-7278 today to order torsion bars, quick change drop boxes, and more.